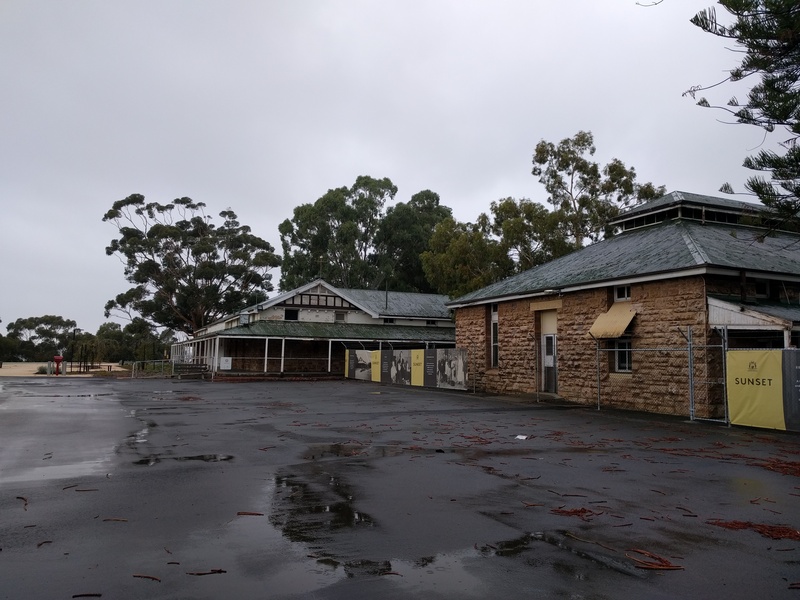 Inside the Claremont Goods Shed…. 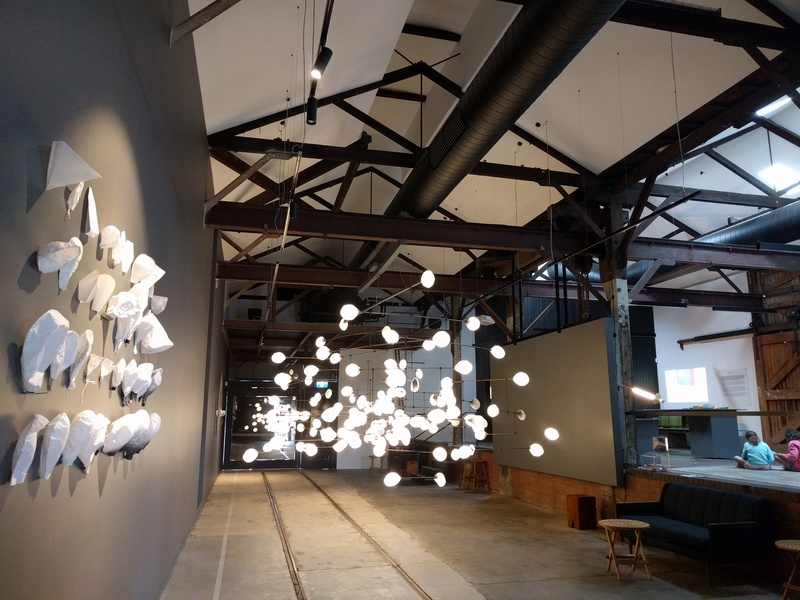 First time inside the renovated space that is the old Claremont Goods Shed, now an art space, currently has some “tisher” lighting installations that are pretty cool…Interactive lights that turn or off or dim when blown in the breeze or touched by a hand, other creation that caught my eye was artificial butterflies trapped in large light bulbs that flutter to life when you walk past. 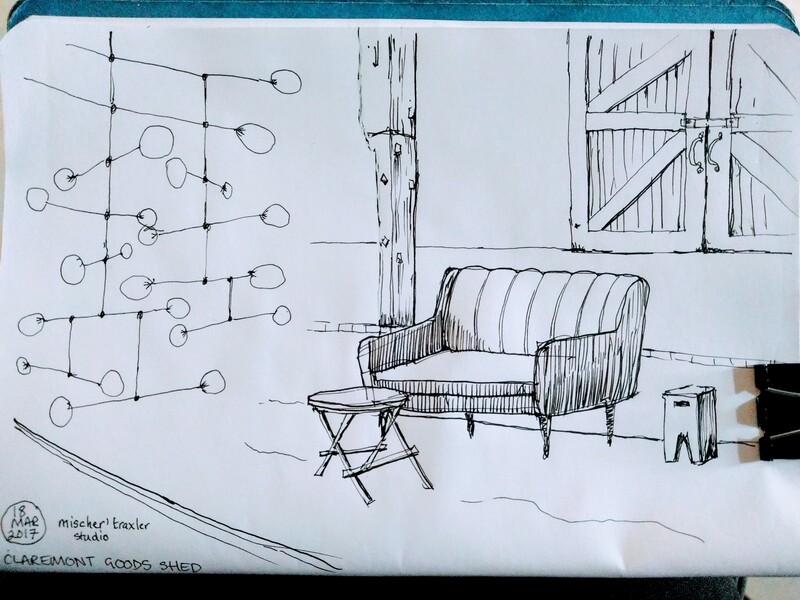 Very hard to sketch someone else’s art creation especially installation art that is created by lights but a quick sketch of the gallery space below…. 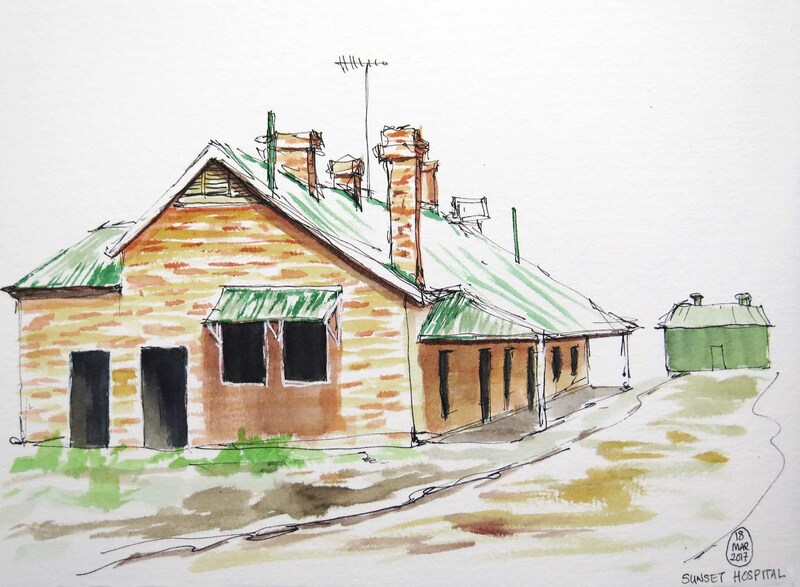 Sunset Hospital in the drizzle! 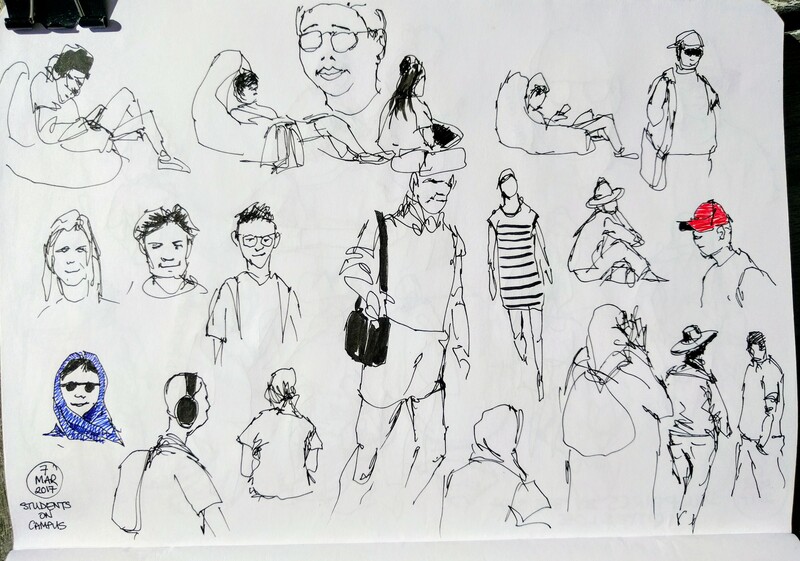 My collection of sketches for the #OneWeek100People2017 challenge….all drawn from life at the beach/coffee shop/on campus. 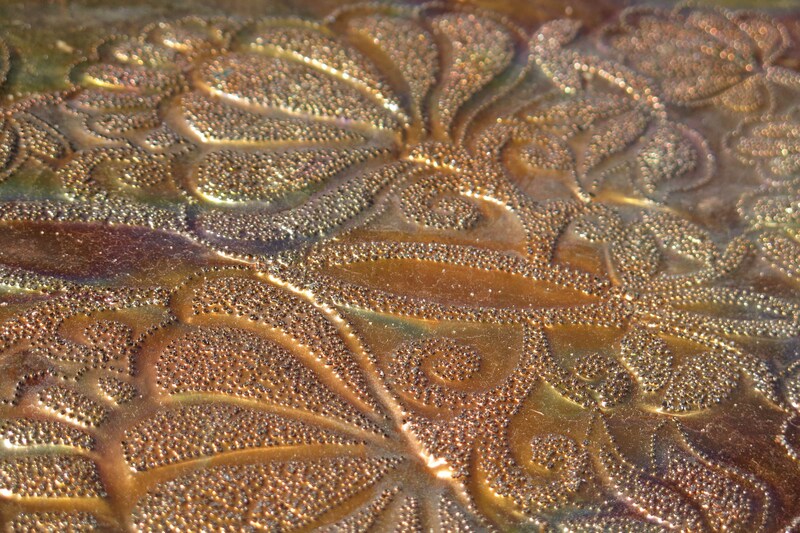 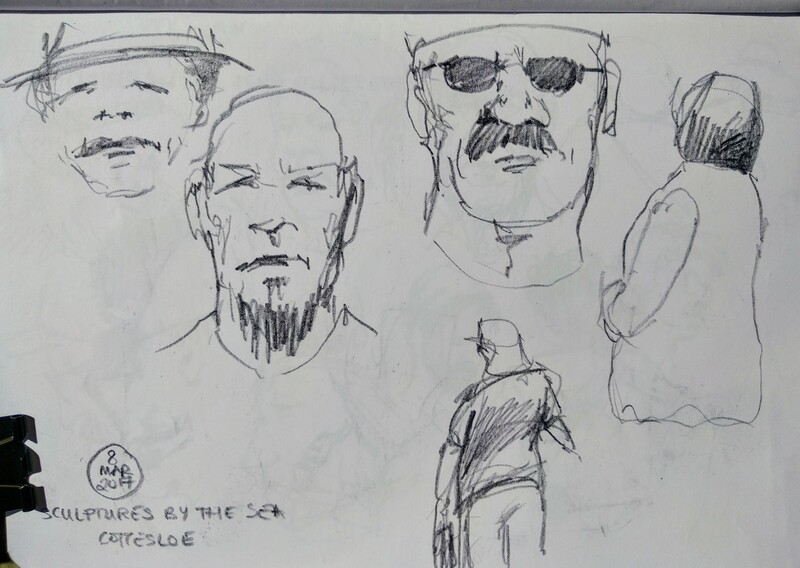 Overall I’m quite happy with the sketches…given that they’re all real quick scribbles…the photos below are random. 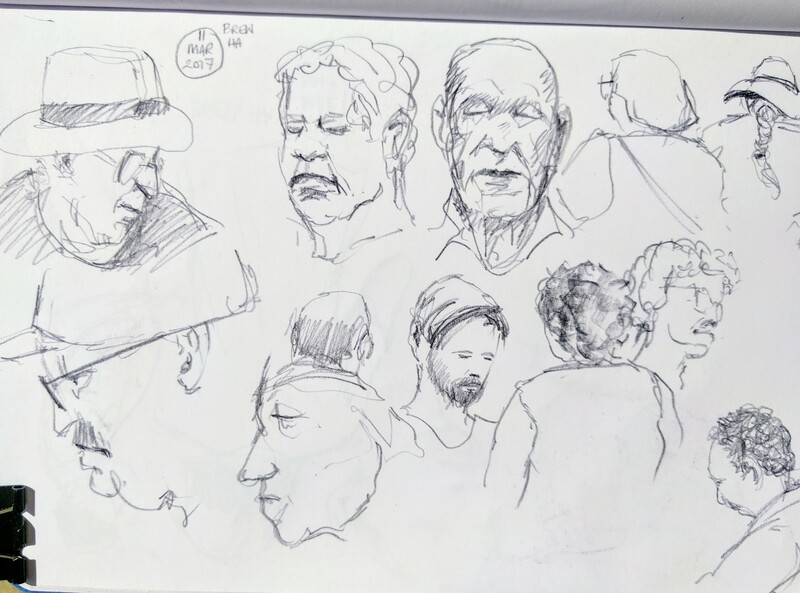 I started drawing with ink in my favourite TWSBI fountain pen but soon switched to a neutral grey Inktense pencil which is quite soft and gives better variety of line weight – light grey to deep darks – better for quick sketching. 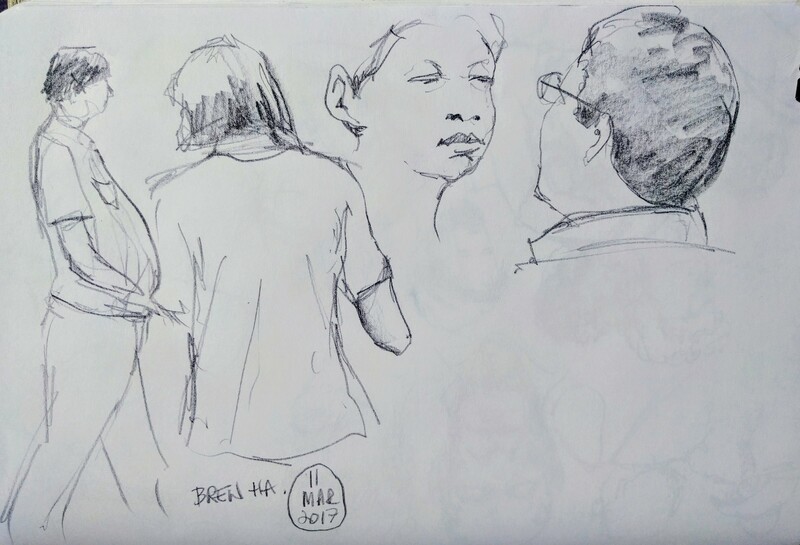 I feel I definitely improved my sketching techniques….having to draw quickly there is less time to get caught up in detail. 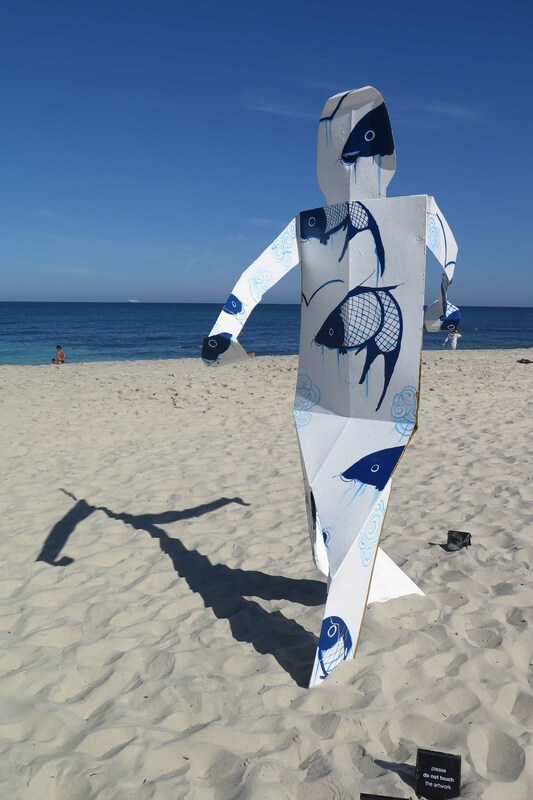 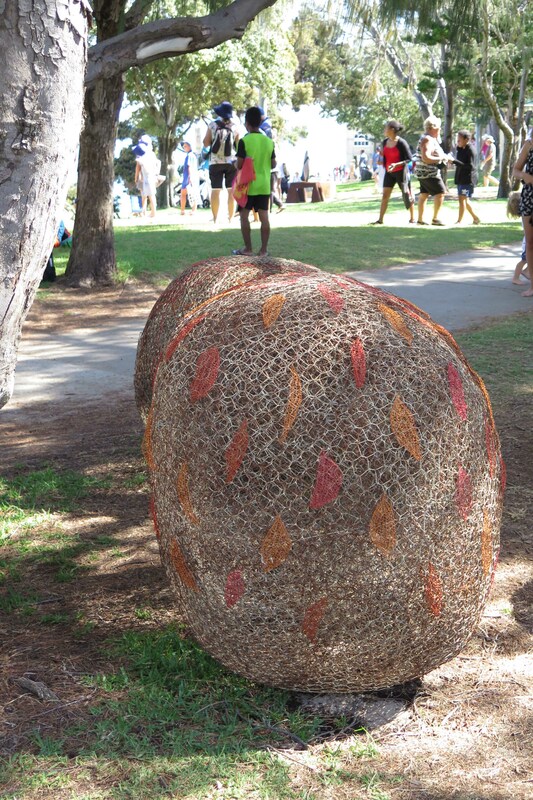 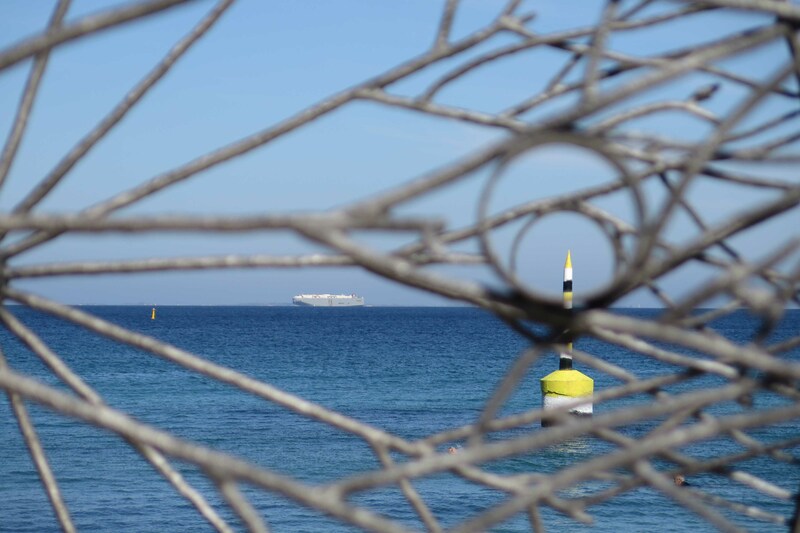 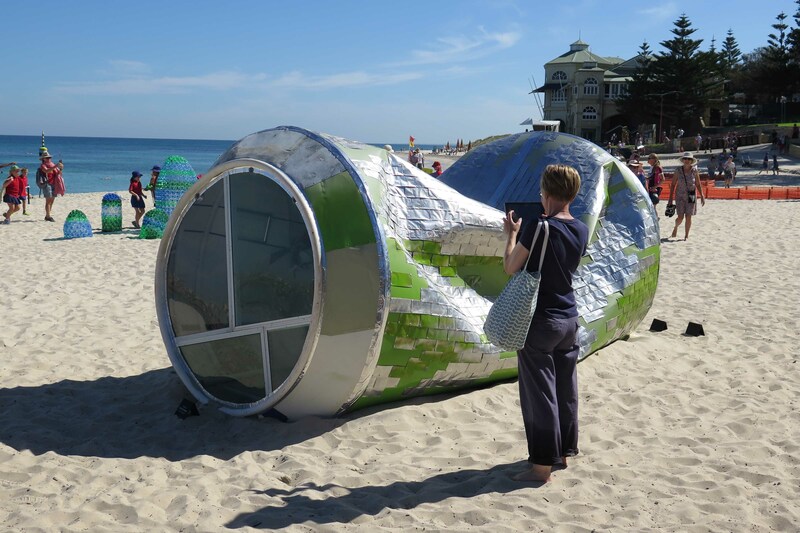 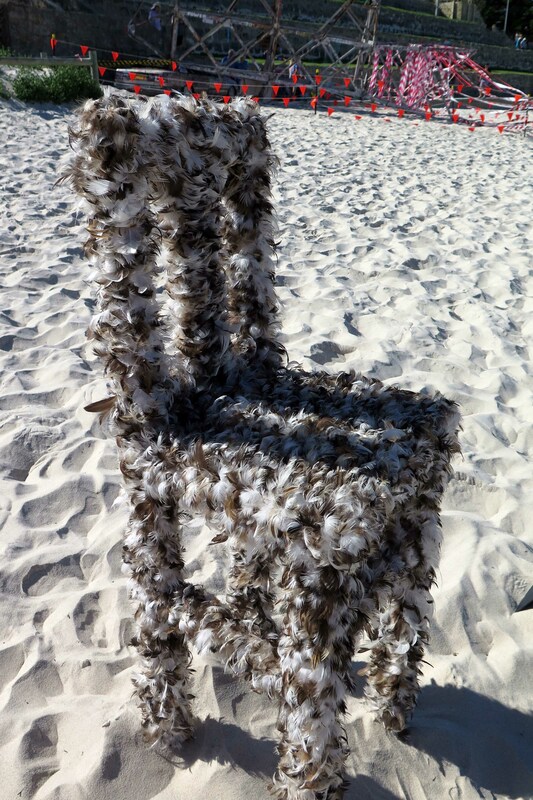 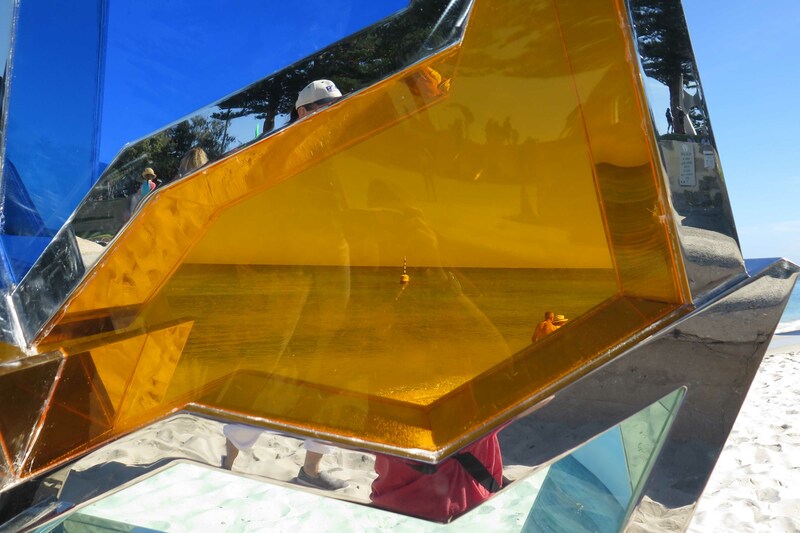 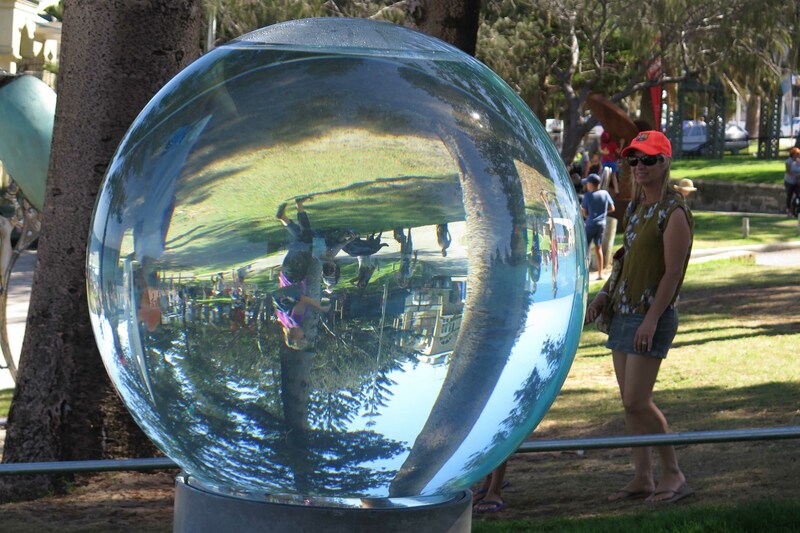 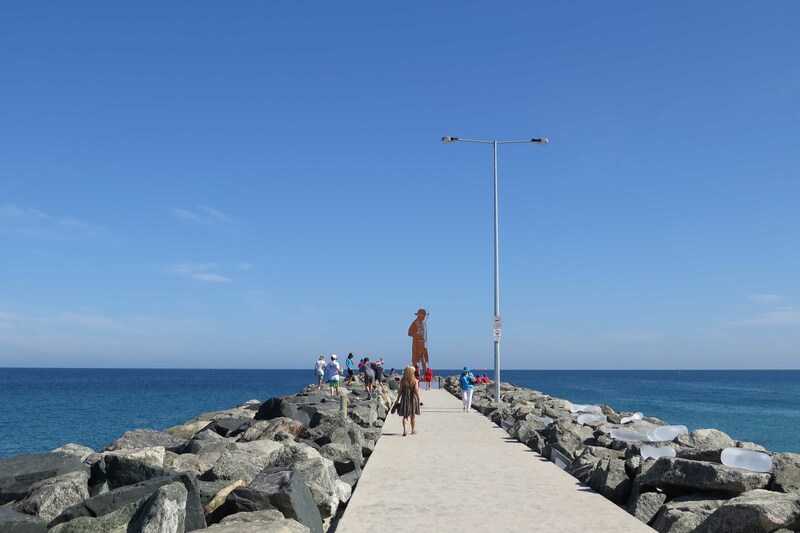 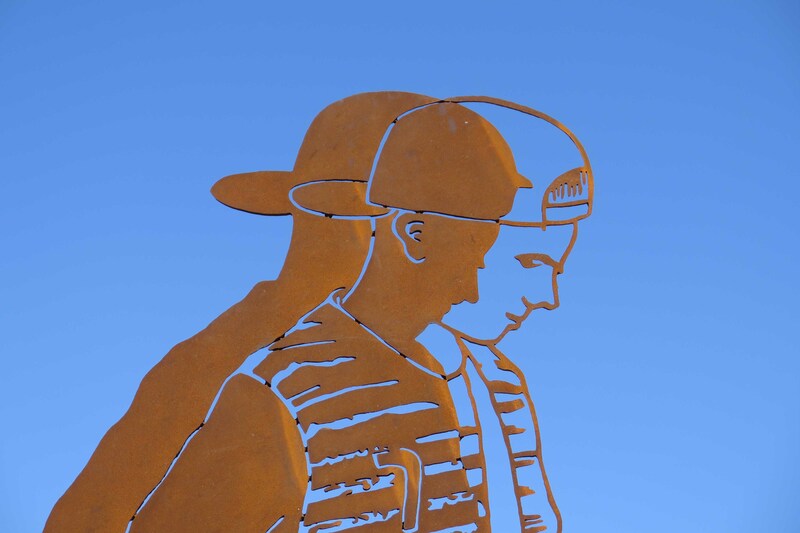 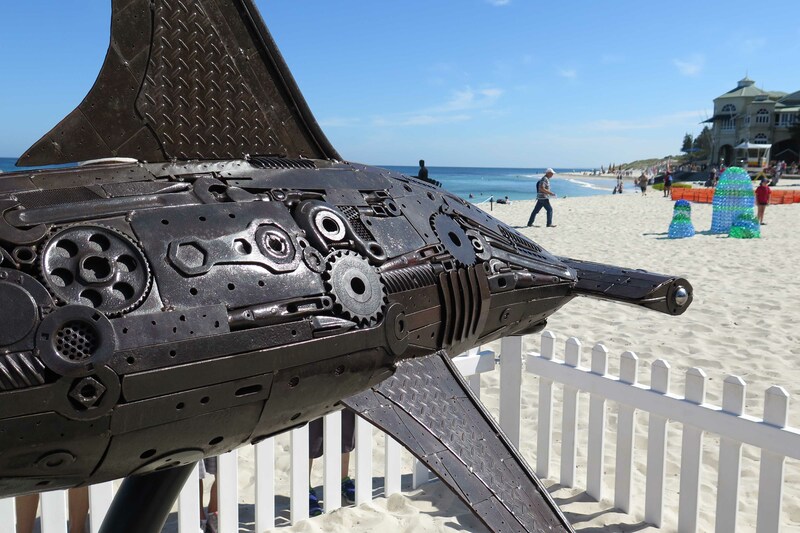 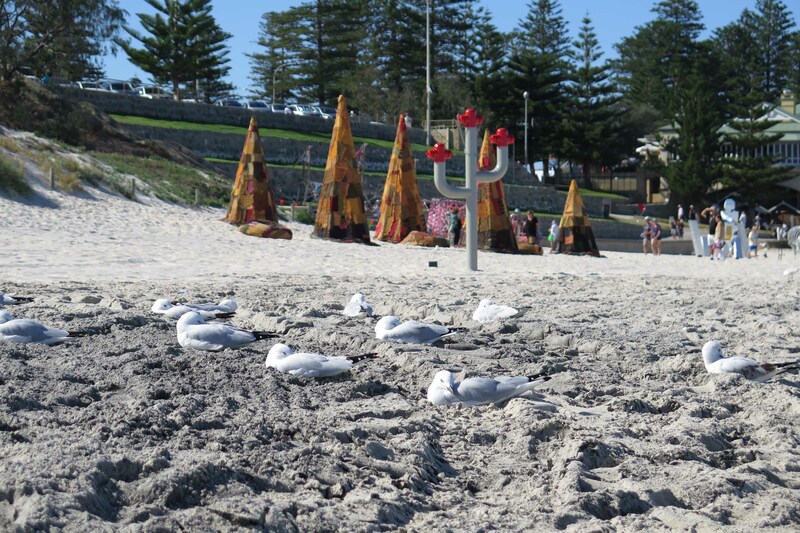 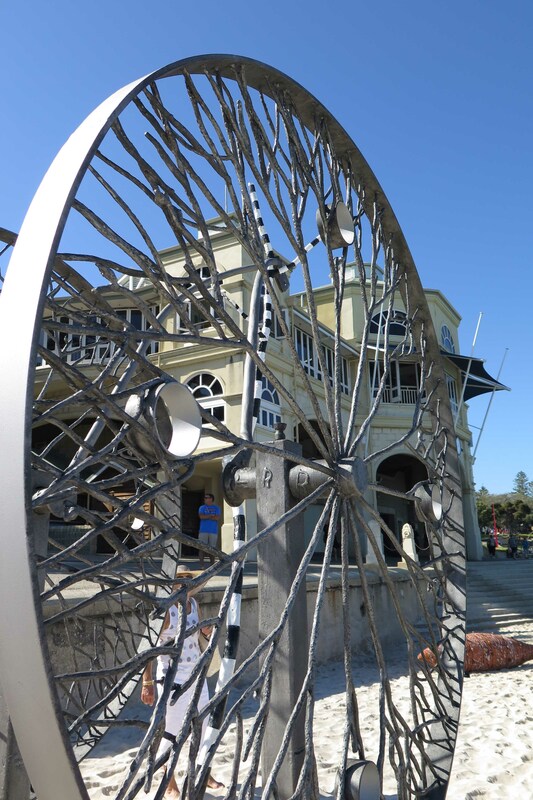 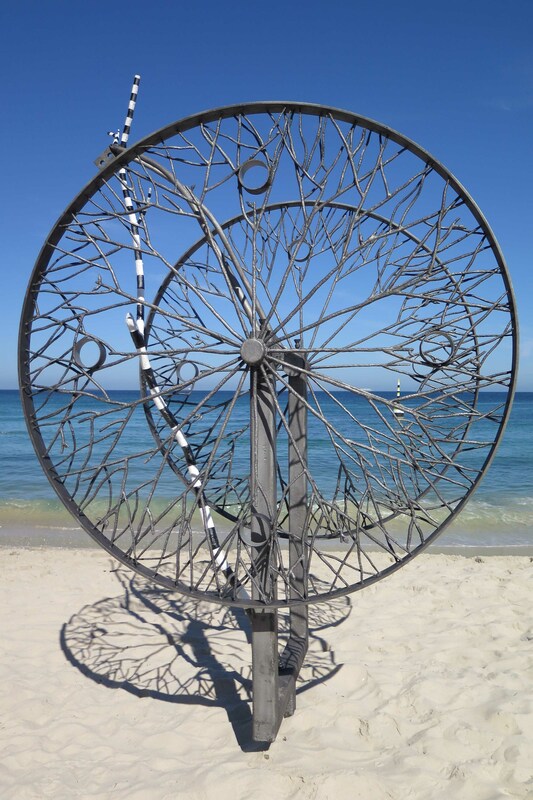 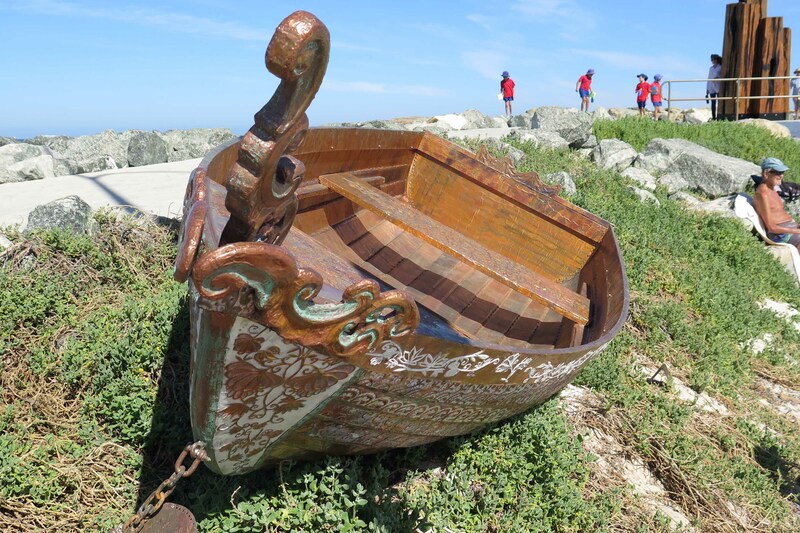 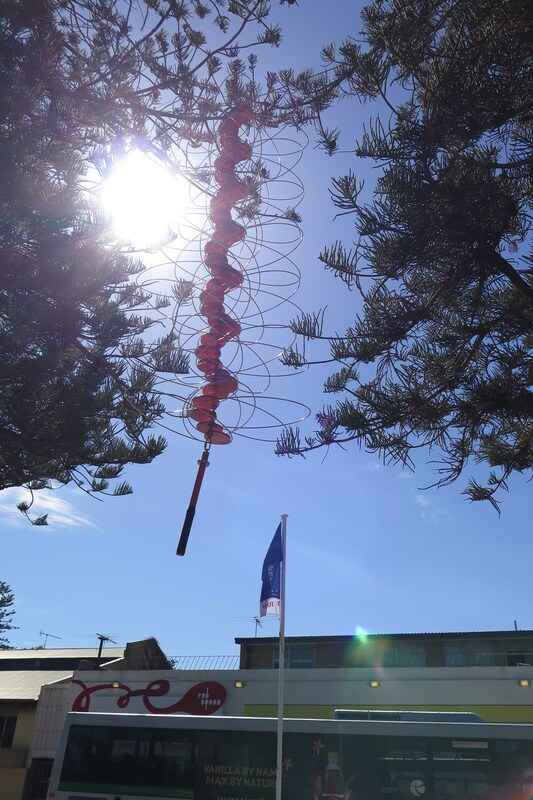 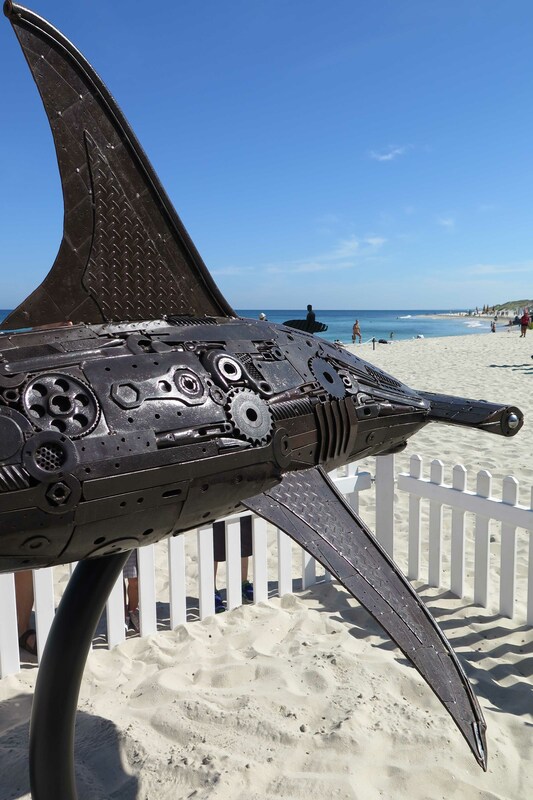 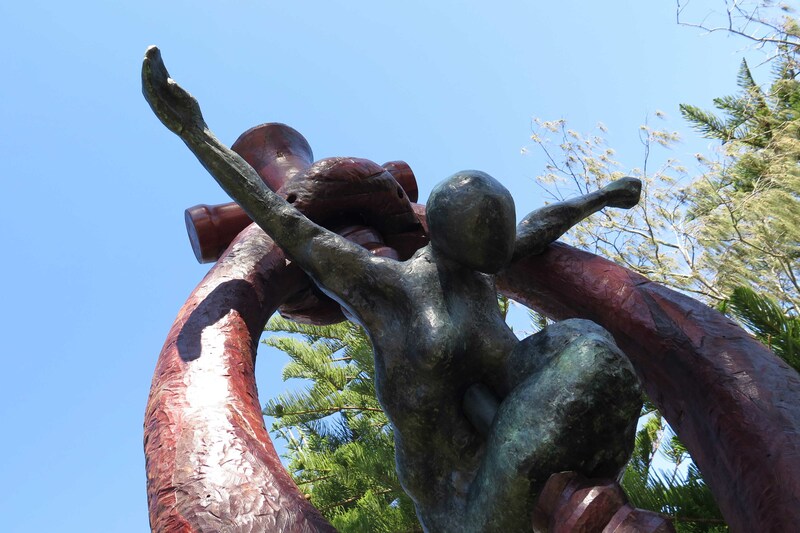 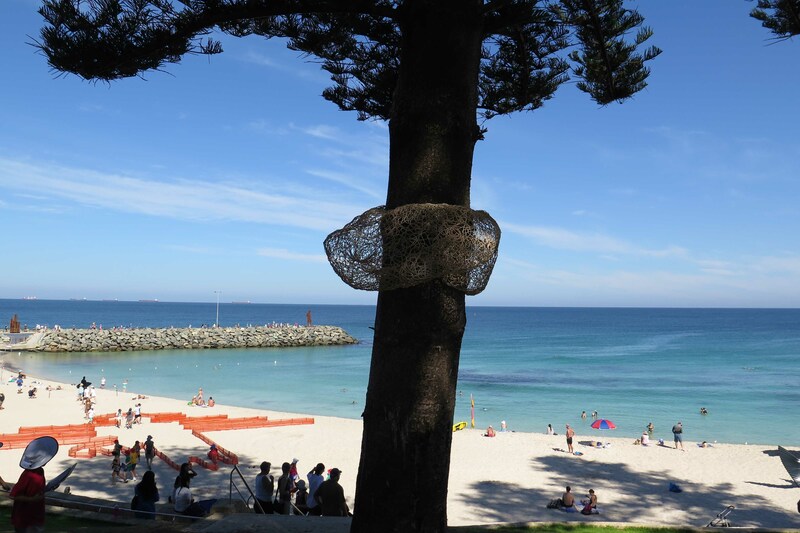 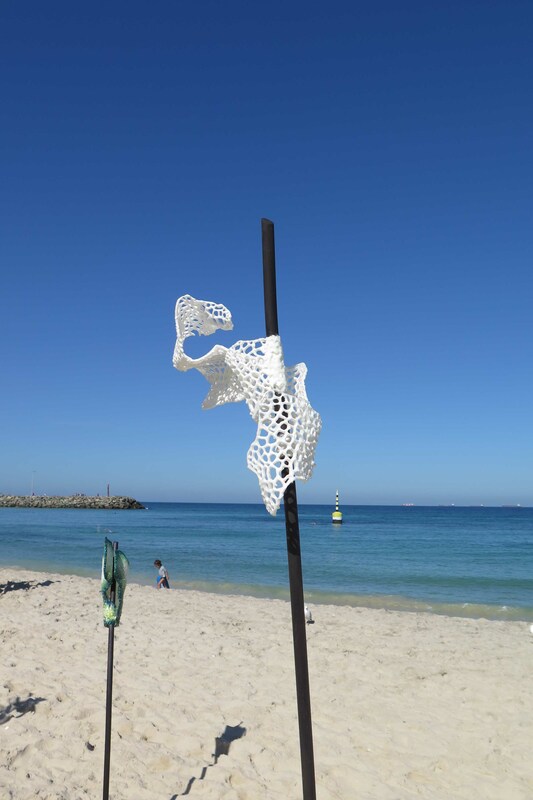 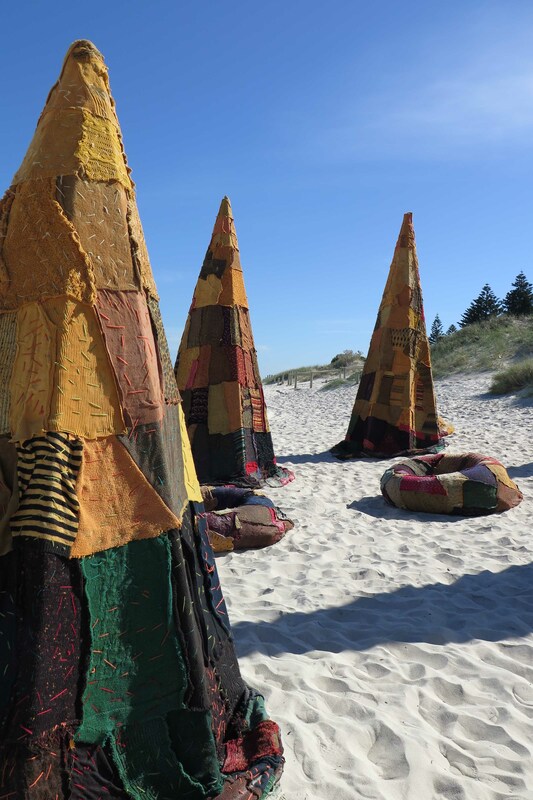 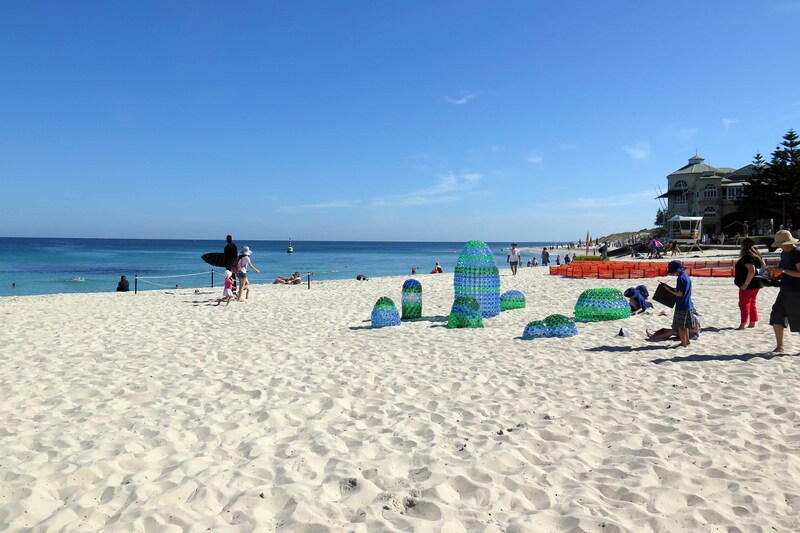 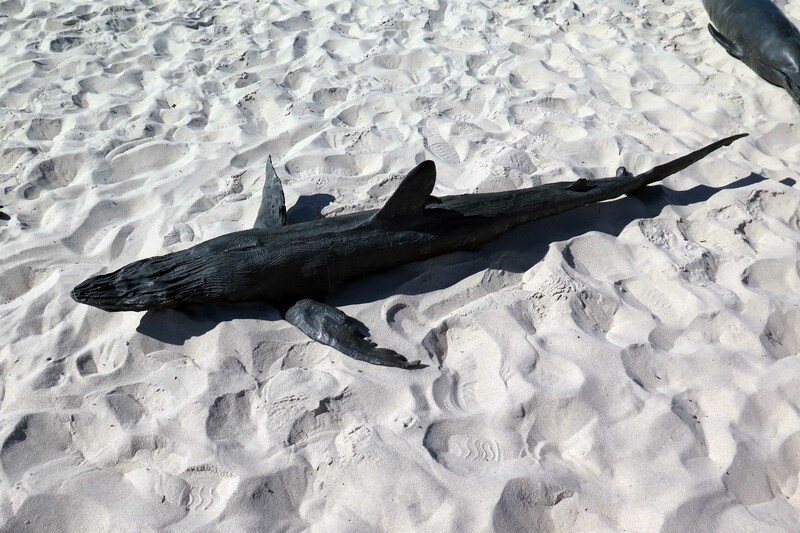 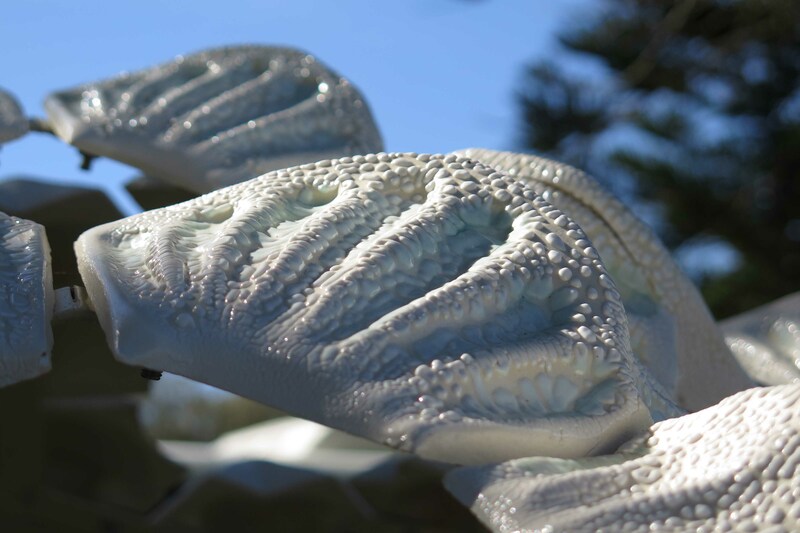 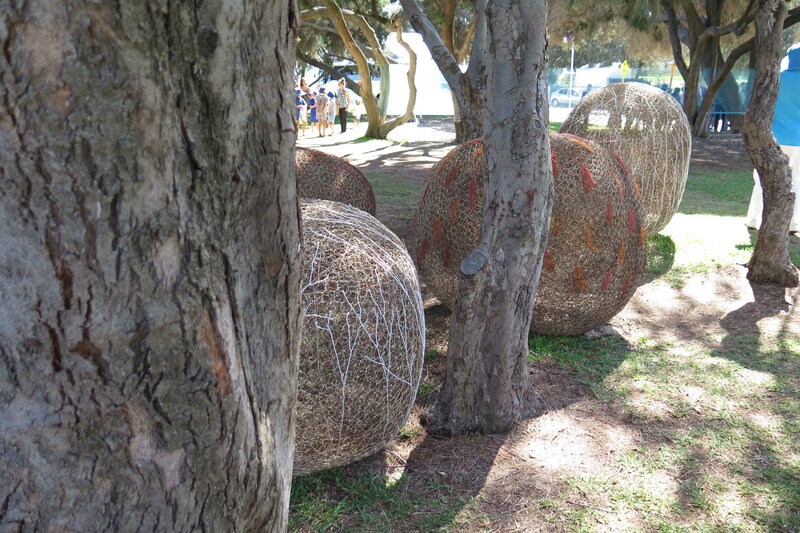 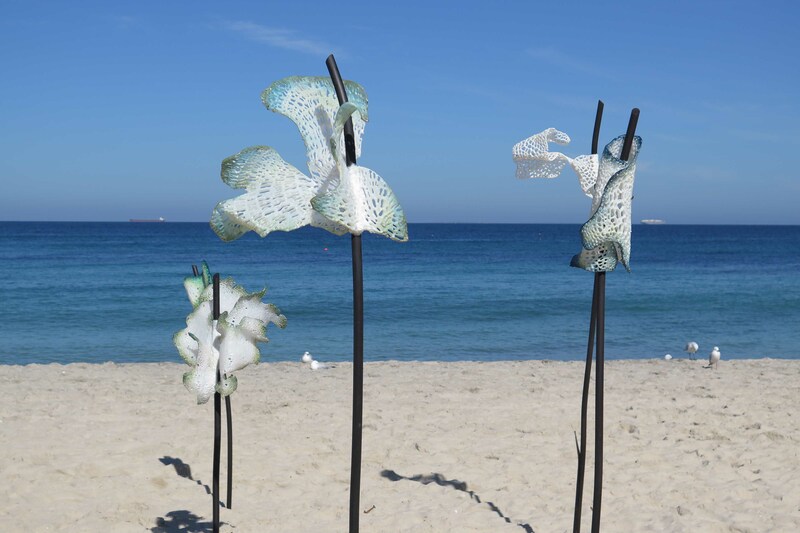 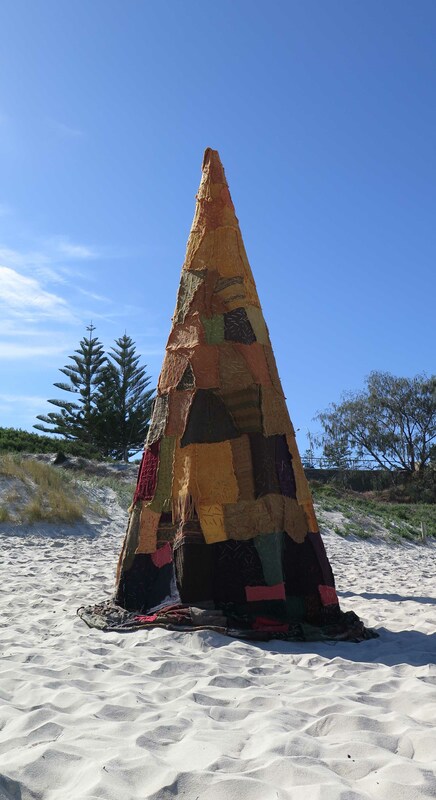 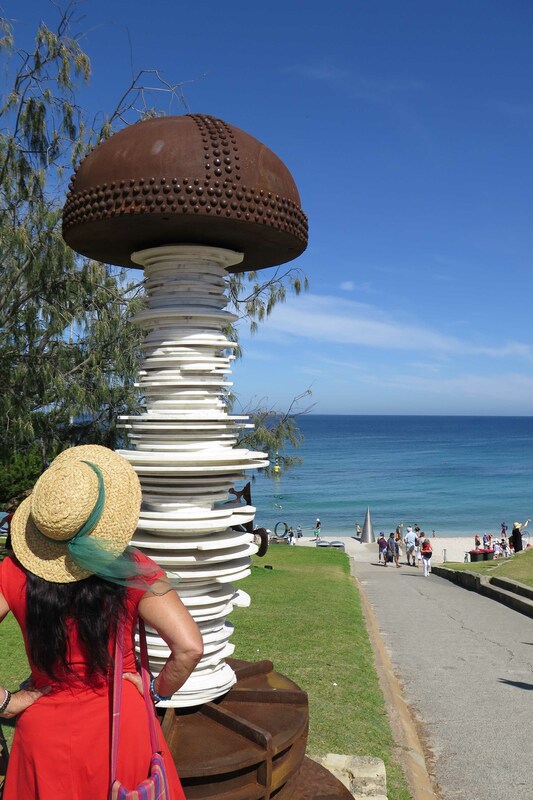 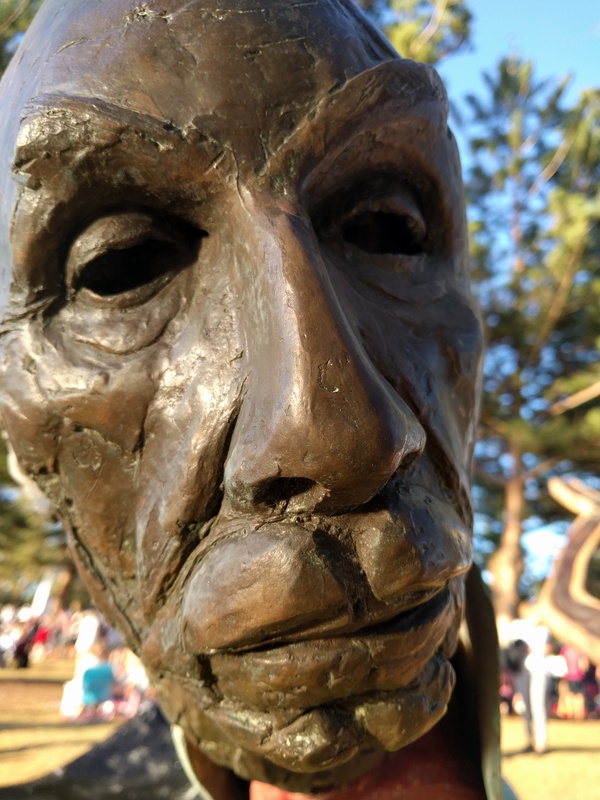 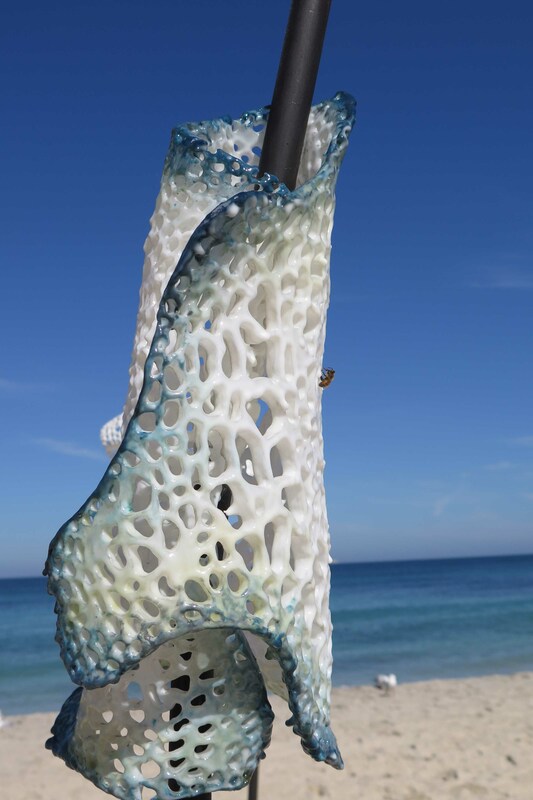 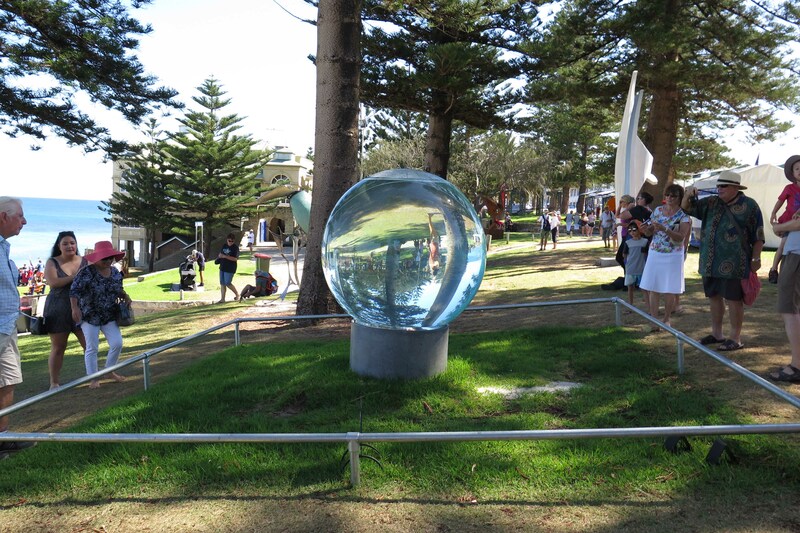 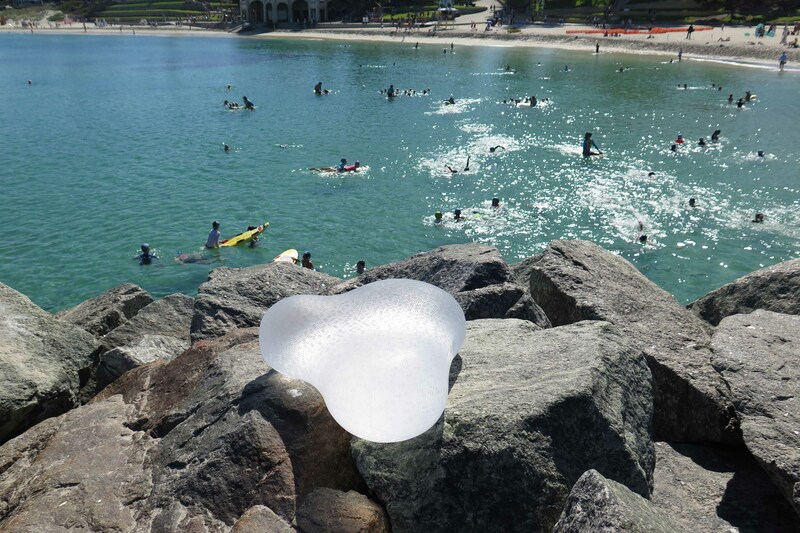 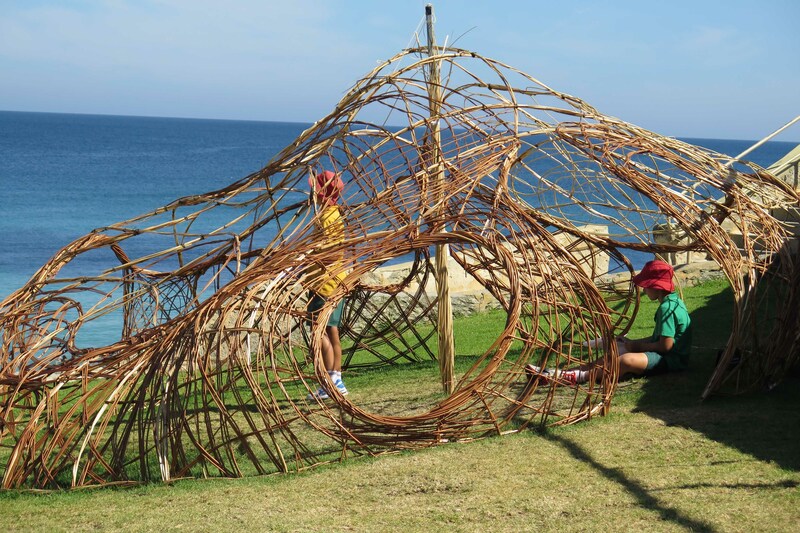 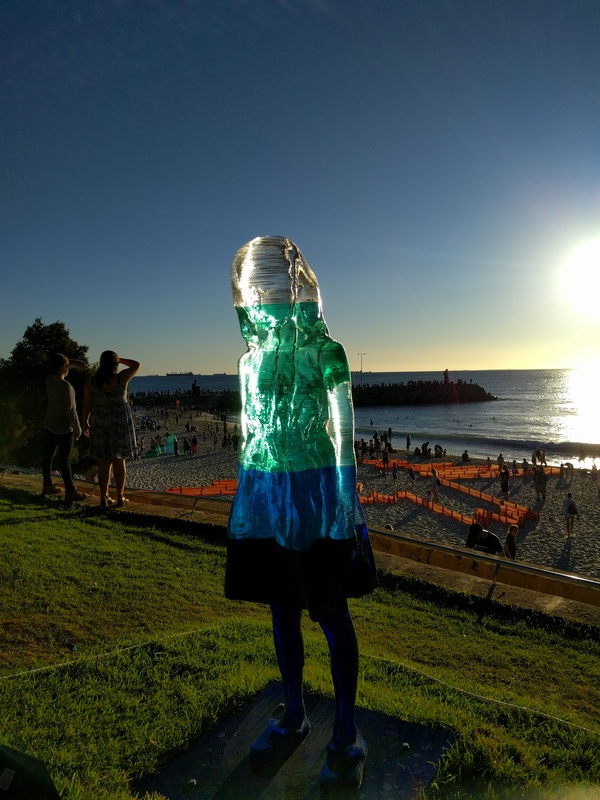 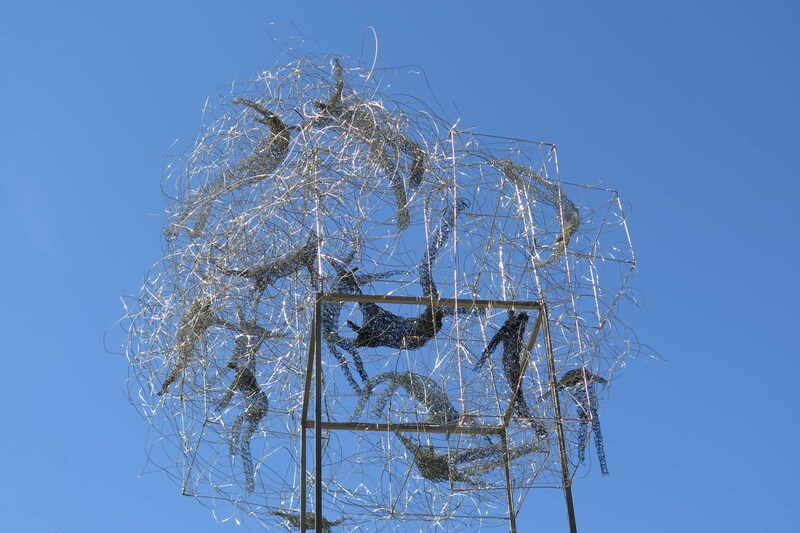 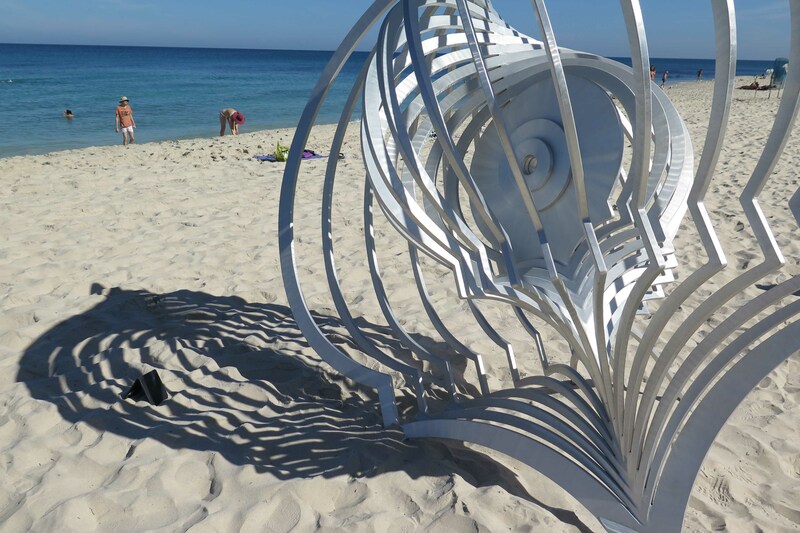 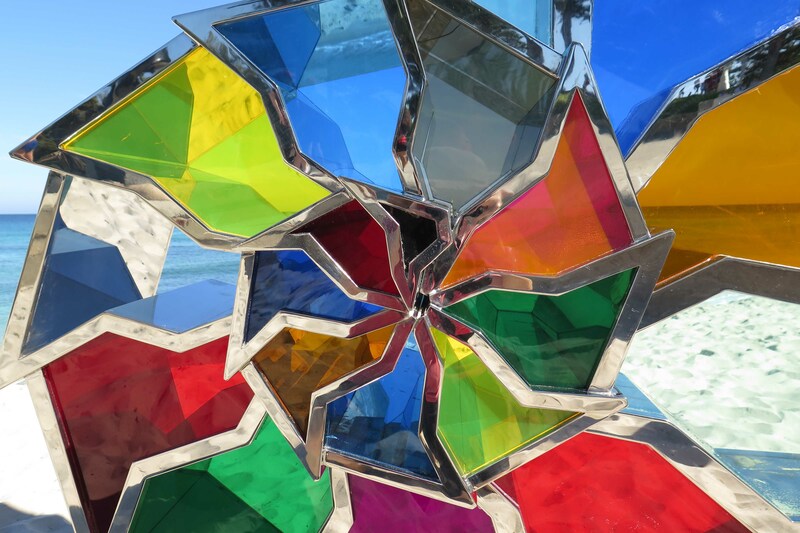 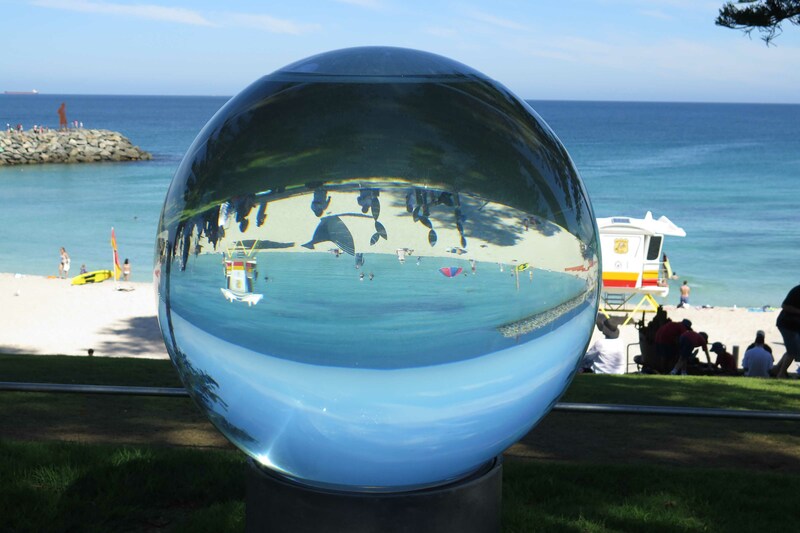 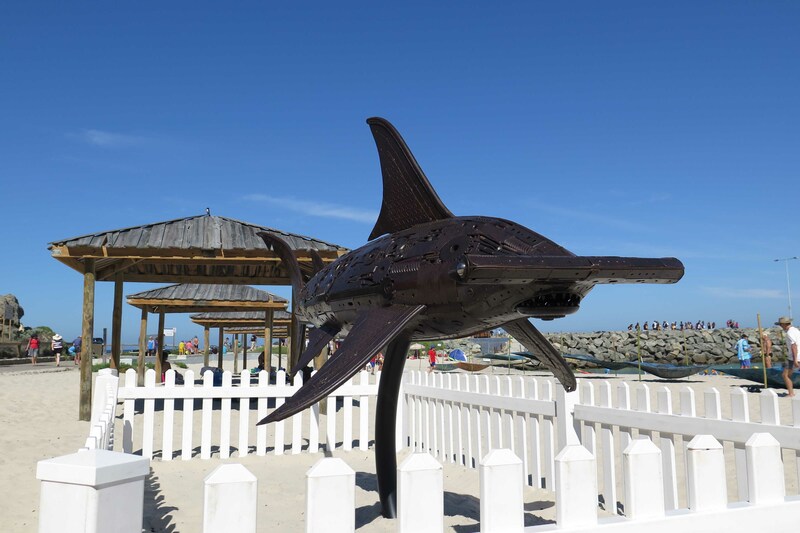 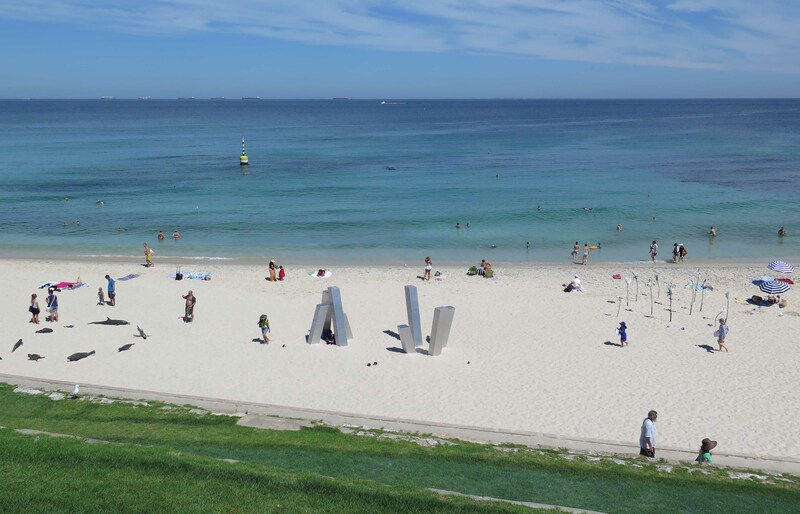 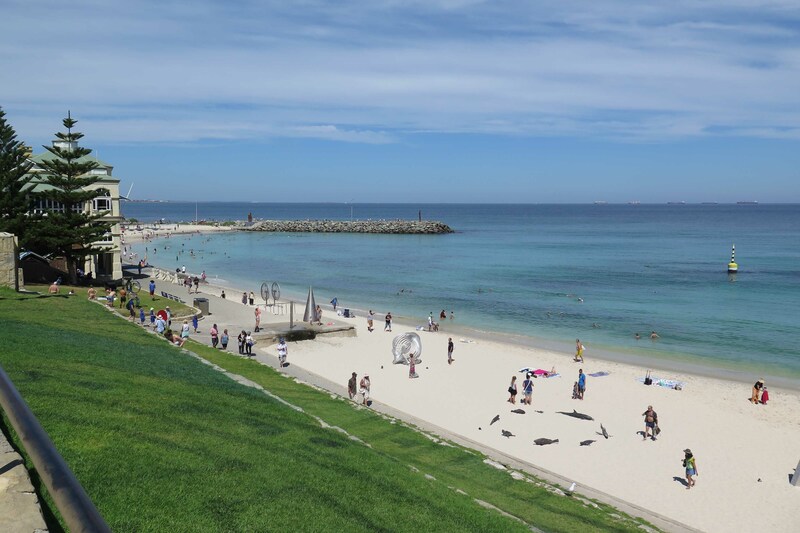 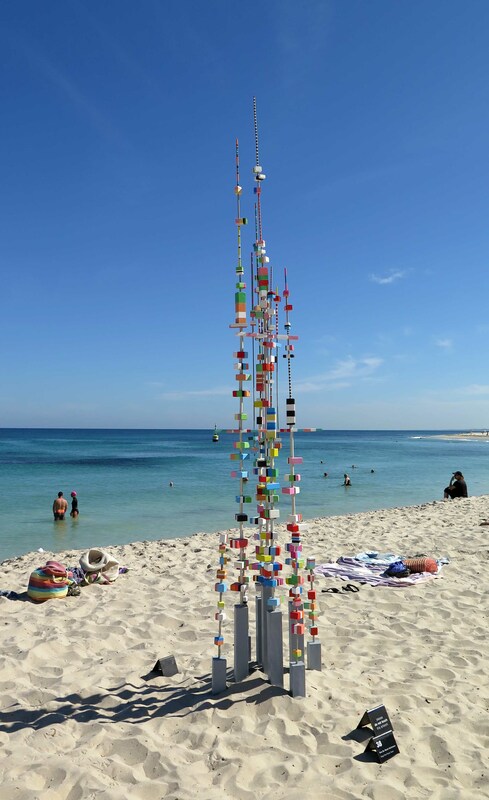 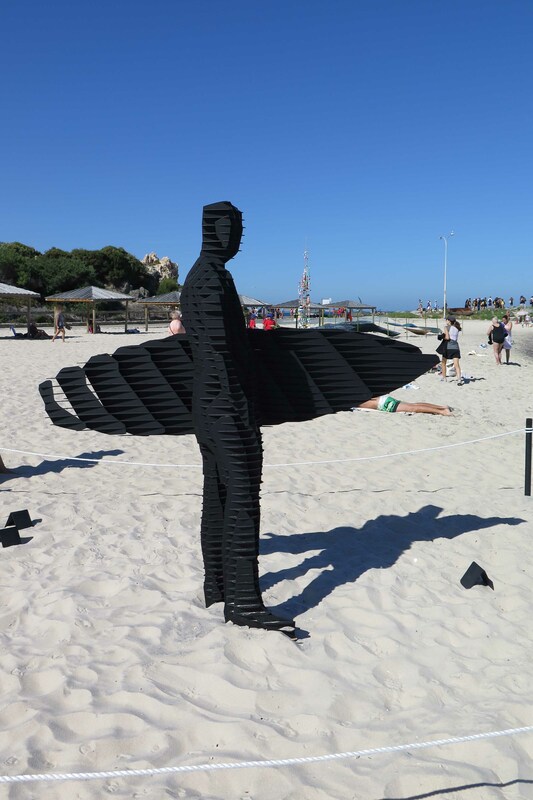 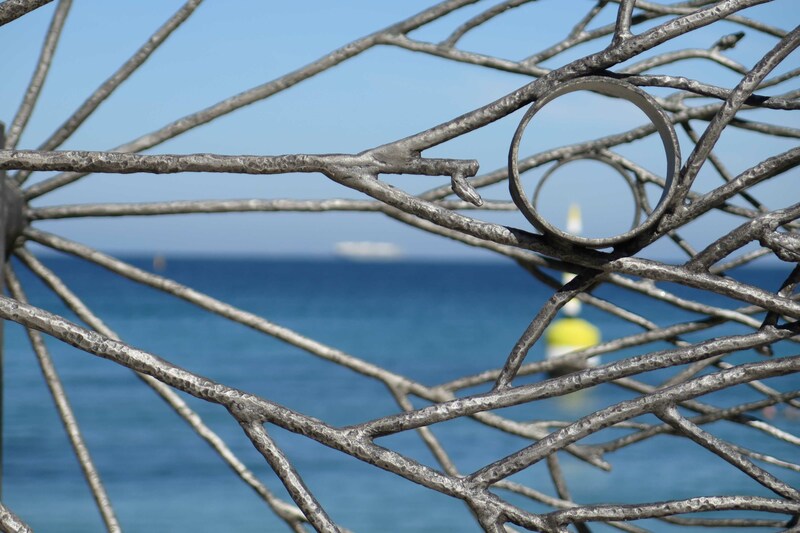 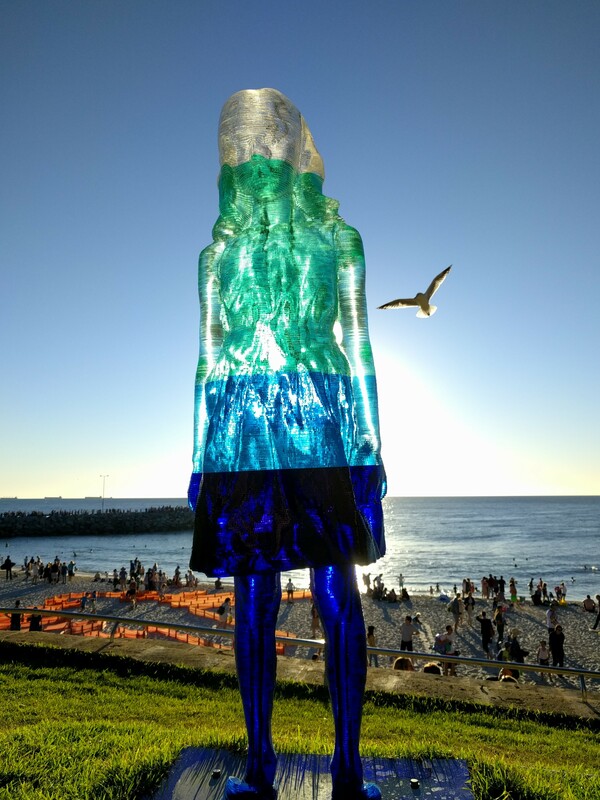 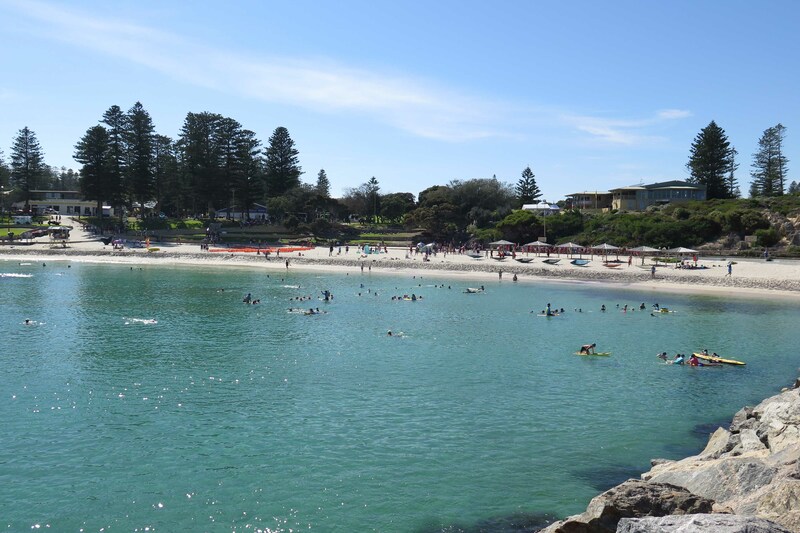 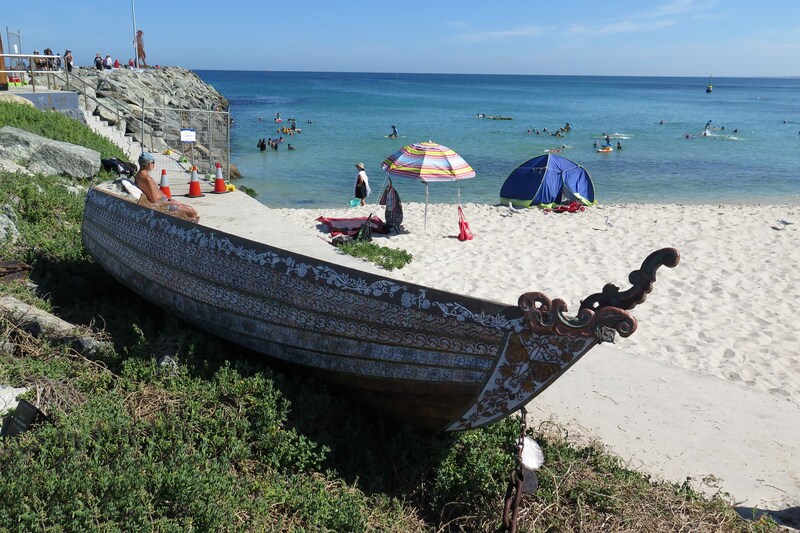 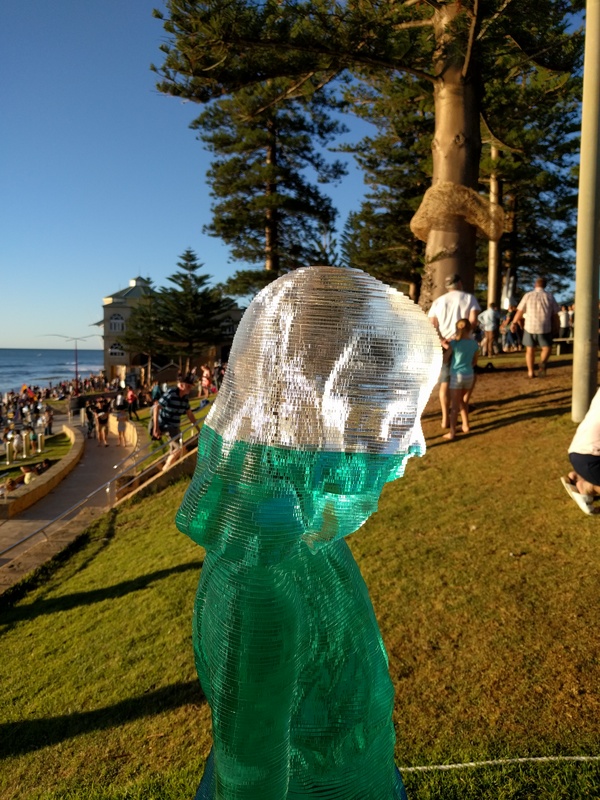 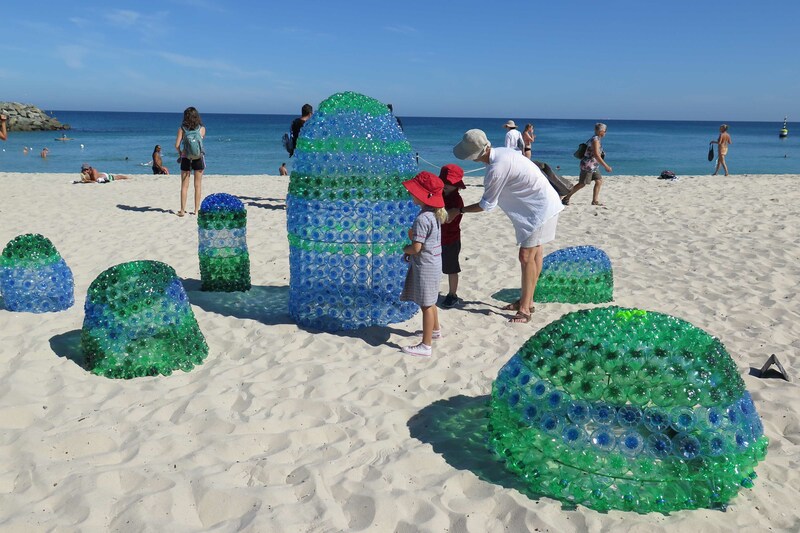 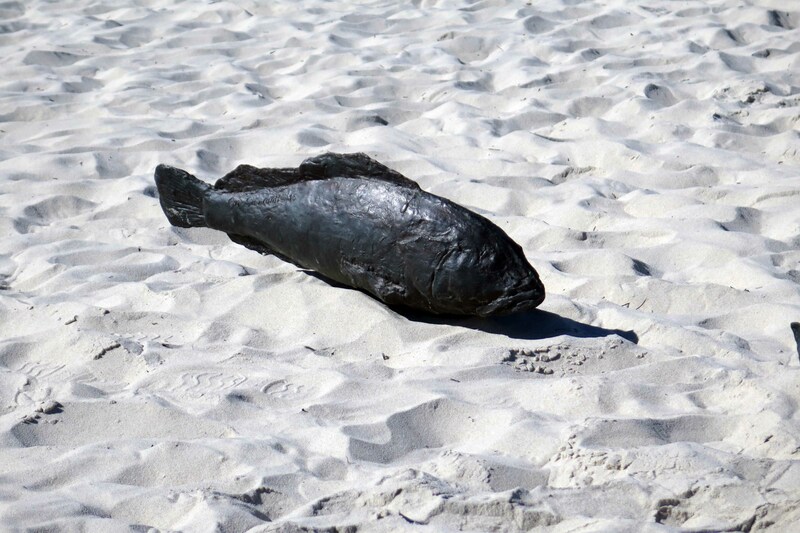 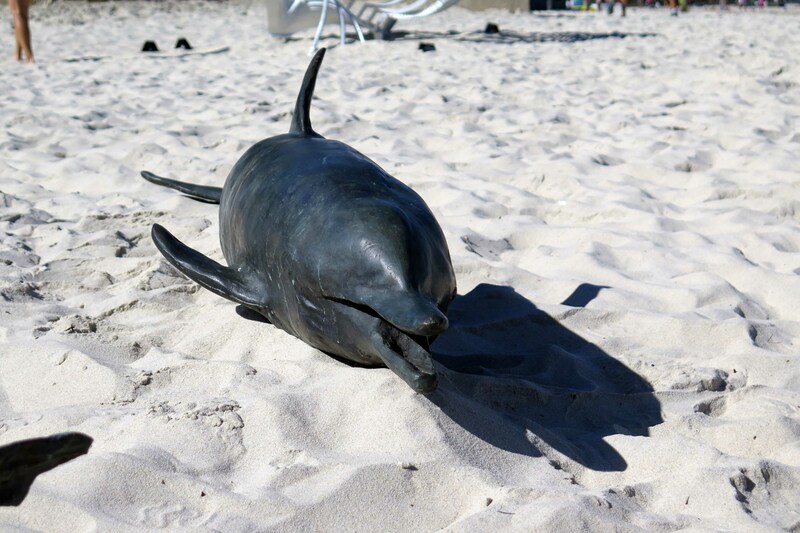 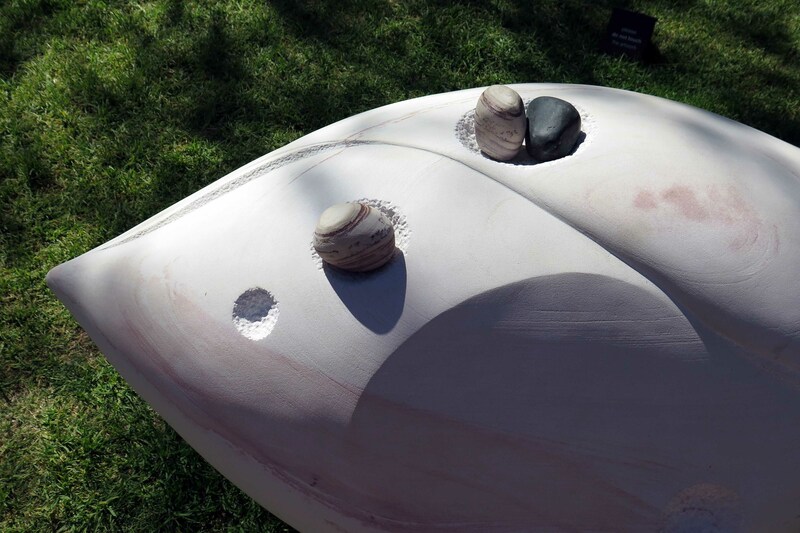 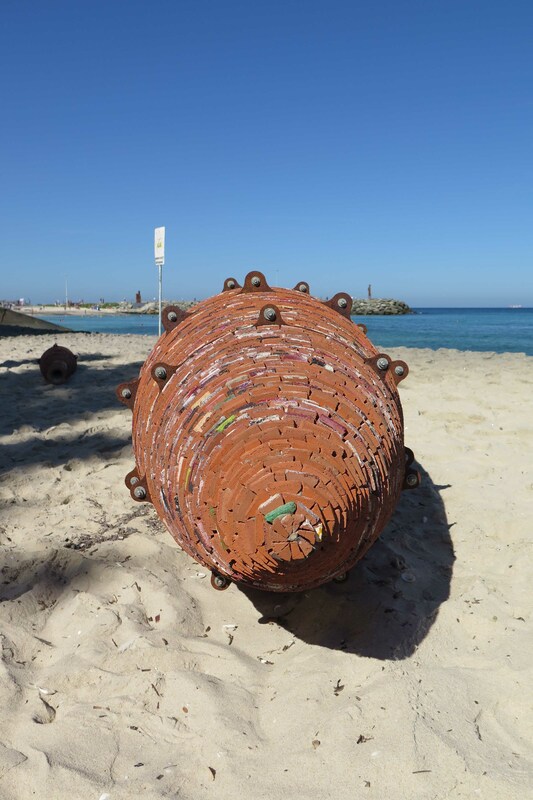 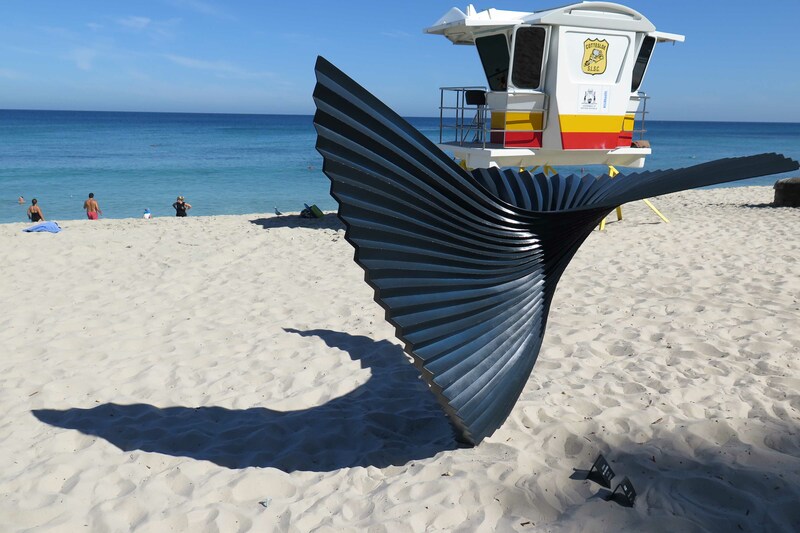 Sculpture by the Sea – Cottesloe 2017 yesterday morning…..wonderful collection of sculptures to make you think and look at the world with new eyes….definitely worth a visit if you can get there…on until March 20th…if not hope you can still enjoy through these photos…. 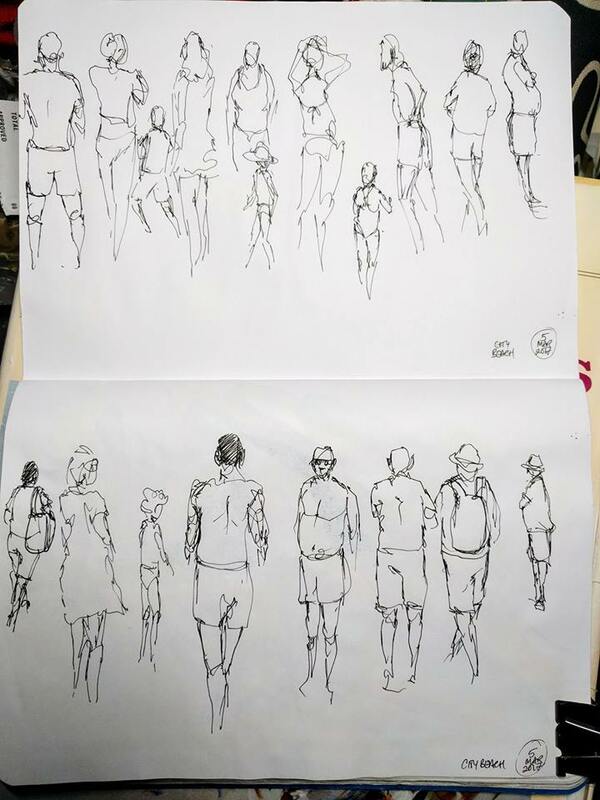 Urban sketchers Marc Taro Holmes and Liz Steel have a sketching challenge happening this week…to sketch 100 people in 1 week (5 days) which works out to be 20 people per day. 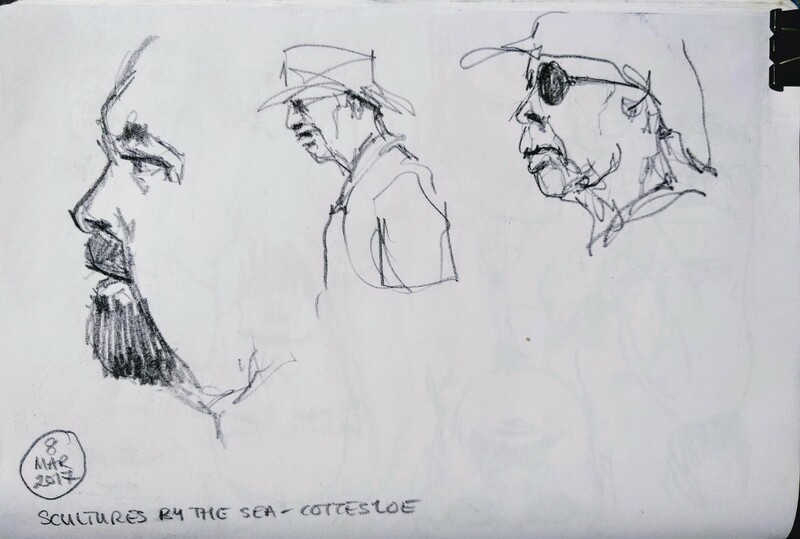 Here are my first couple of days scribbles. 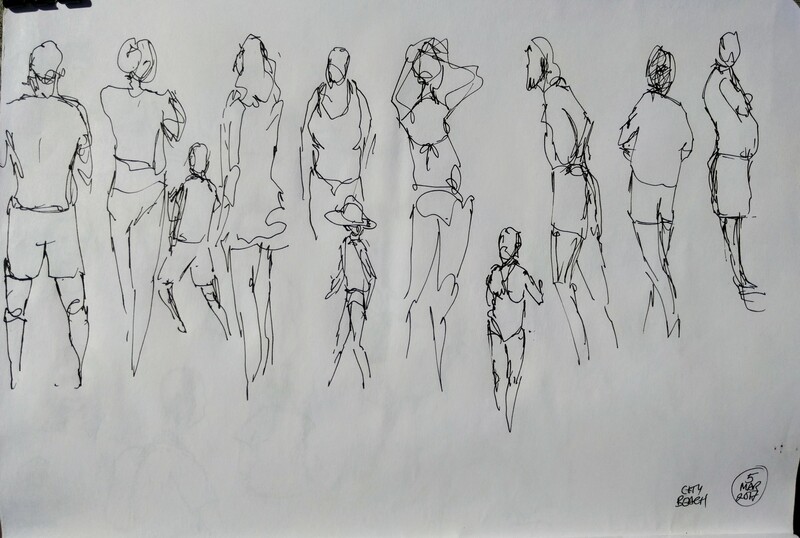 I did start a day early and miss a day (sometimes life just gets in the way) but the challenge is flexible so….. here are people on the beach and students on campus….drawn with TWSBI Eco fountain pen (the best!) 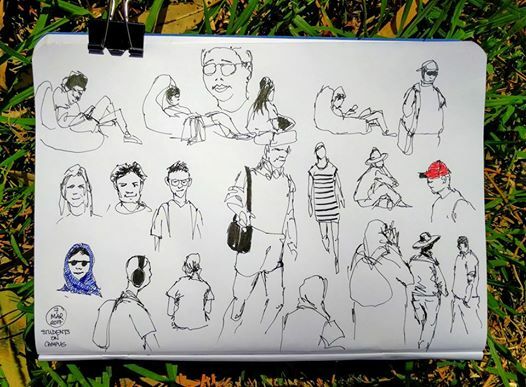 and coloured with ballpoint pen on the second sketch….